Monteseel; Inchanga, Outer West Durban is a quiet area often found in a thick blanket of mist. Home to the Hacienda Country Pub, Bunny Farm and breathtaking scenery Monteseel is a destination not to miss. Monteseel Conservancy is registered with KwaZulu Natal Nature Conservation Board; dedicated to the conservation and maintenance of the total environment in the Monteseel area. Monteseel is far and away the most popular climbing venue in Natal. 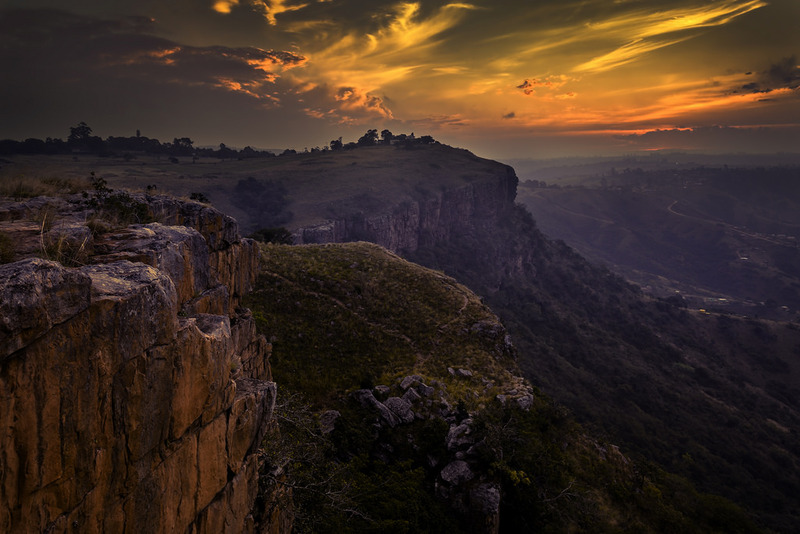 The crag is easily accessible from Durban or Pietermaritzburg and has the shortest walk-in in Natal (50 m). It has a selection of about 300 routes of all grades between 8 and 28. These are mostly one-pitch routes that vary in height between about ten and thirty metres. The rock is superb quality sandstone of the Natal Group and is characterised by good edges and horizontal rails.